Earn up to 144 reward points. 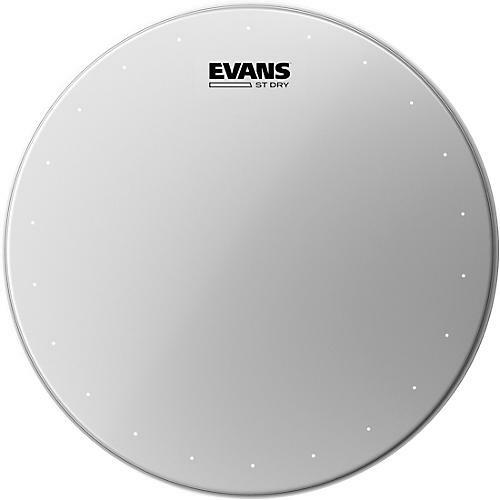 The Evans ST Dry Coated Snare Drumhead is the head of choice for high-powered drumming! With 2 layers of 7.5 mil film, the ST delivers durability and a full-bandwidth rimshot. It delivers all the volume and ring needed, yet the perimeter-placed dry vents brush the higher harmonics from the picture. Excellent for loud, live playing situations. The Evans ST Dry Coated Snare Drumhead is a favorite of sound engineers as well as drummers! Order today.